Bermuda Captive Owners Association [BOCA] General Manager Rochelle Simons says clients telling the benefits of having a Bermuda domiciled captive are a great way to promote the captive market. Ms Simons was speaking at the recently held Bermuda Insurance Management Association [BIMA] Annual General Meeting held at the Royal Bermuda Yacht Club in Hamilton. The Bermuda Insurance Management Association [BIMA] is an association of professional insurance Managers and seeks to the engagement of its membership to further increase new captive business to the Island and to encourage awareness of Bermuda as a captive domicile by providing education, networking and information to professionals here on the Island and potential captive owners abroad. BIMA President Grainne Richmond told the audience BIMA actively engaged its membership and industry partners to work with the Bermuda Monetary Authority [BMA] in their execution of some new key insurance regulations introduced in 2017. 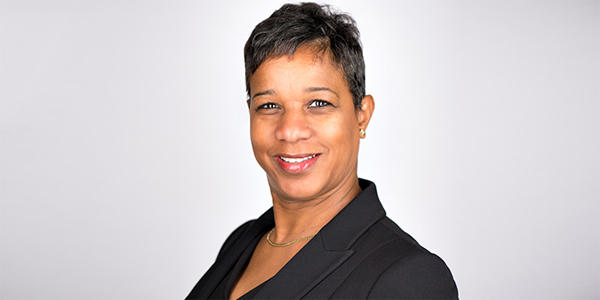 Ms Richmond said BIMA worked with the regulator, the BMA and its members and organizations such as the Bermuda Captive Owners Association [BCOA], the Bermuda Development Agency [BDA], on legislation such as the Insurance Managers Code of Conduct and the proposed new Incorporated Cell Legislation. BIMA also engaged with its business partners and other organizations such as HSBC Bermuda and Butterfield Bank on key requirements in the banking sector such the Know Your Customer [KYC] and Anti Money Laundering [AML] legislation. BIMA was also involved in the trial runs of the new Electronic Statutory Financial Returns [ESFR] which will enable the domicile to produce more robust statistical information. The AGM also featured keynote presentations by BMA Managing Director Craig Swan, BDA Business Development Manager Jereme Ramsay and David Gibbons Chairman of the 2016 Bermuda Captive Conference. Ms Richmond, Vice President Dyna Management Services, noted that during 2016, BIMA worked closely with the BDA on roadshows, Podcasts and Webinars and also encouraged its members to support the BDA in future initiatives. “Without the support of the BDA the marketing of the Bermuda captive space would not be the high standard it is today. There are over 25 other captive domiciles around the world therefore if we don’t retain our active presence at events and road shows we will lose traction to domiciles such as Cayman and Vermont,” Ms Richmond remarked. Kathleen Bibbings – Aon Insurance Managers [Bermuda] Ltd. Page Rouse – Two Rock Insurance Management Ltd.
Rachel Derry [alternate Anne Powell] – Liberty Mutual Management Bermuda Ltd.
William Wood [alternate Andy McComb] CTC Insurance Management [Bermuda] Ltd.